← Why “From the Rostra”? 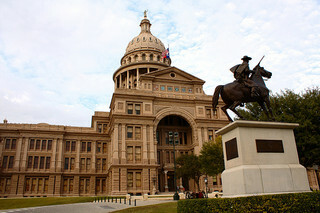 Texas Governor Perry gave his State of the State address yesterday. Our local NPR affiliate KUT included a couple quotes in its report that caught my attention, highlighting the difficulty people have converging on the same question in political rhetoric. Watson’s attribution of spite as motive for Republican refusal to expand Medicaid can easily derail further discussion. Republicans have substantive reasons for refusing the accept the federal funds. Perry calls the system “unsustainable,” and expanding social safety net programs conflicts with the general conservative movement away from such programs. Watson may disagree with these reasons, but they are reasons that could address the question of what programs deserve funding—much like Watson asks us to debate what we mean by the term “needs.” Instead, Watson attributes Perry’s resistance to retaliation, which moves the discussion away from policy matters. This entry was posted in Civic Rhetoric and tagged civic rhetoric, derail, rhetoric, stasis. Bookmark the permalink.